Midland Information Debt and Legal Advocacy Service (MIDLAS) understand the difficulties that people over 55 experience when looking for new accommodation. MIDLAS Tenancy Advocates have experienced an increase in individuals over the age of 55 seeking advocacy and assistance in regards to their housing options. Finding suitable and affordable accommodation within the current market is a struggle for many. This is particularly true for those individuals over the age of 55, who are often no longer raising a family, and are making important lifestyle changes. If you are in this position, it is crucial that you consider all your housing choices and options carefully. With the many years of experience and expertise in the field of tenancy advocacy, the MIDLAS Tenancy team have compiled a list of useful resources detailing many of the housing options available to those over the age of 55. Renting is when the owner of a house lets a tenant live in the home in exchange for money, rent. You may choose to rent because you cannot afford to buy a property yourself, or because it might suit your lifestyle better. Renting is often cheaper than purchasing as house, as you do not have to pay rates or building and structure insurance. It is important to view as many rental properties as possible, ensure they can fulfill your current needs and future needs. It is important to consider whether public transport is nearby, how far away are the shops are and most importantly, if you feel safe in the area. If you are receiving a pension, you may be eligible for Commonwealth Rent Assistance, and the Department of Housing bond assistance; please contact Centrelink on 13 2300 for more information regarding this matter. For more information about private rentals visit the REIWA website. To view current rentals are on the market please click here. The Department of Housing (DOH) provides affordable long term accommodation to those on low incomes. Rent is generally set at 25% of your income and DOH has complexes specifically designed for over 55’s. While there are currently 20,000 people on the DOH waitlist, it is still a feasible option for those over 55. Click here for more information. 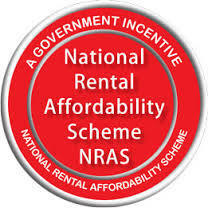 This is a Federal Government initiative that provides rental accommodation at affordable rates. 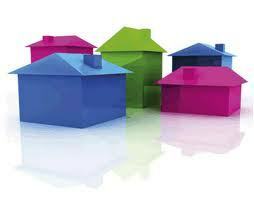 The houses are managed by the community housing organisations and a few real estate agencies. For more information you can contact either Access Housing or Foundation Housing. Income limits do apply, so please click here for more information. If you wish to access Aged Care, it is imperative to get your name on the list as soon as possible! It is important that you visit the different properties early and not leave things to the last minute. Doing this will give you more choice for where you want to be. For Government funded aged care services people will need to be assessed by the Aged Care Assessment Team (ACAT) who determine the level of need required. Retirement villages cater to those people over 55 and are managed by community groups or commercial organisations. They are covered by theRetirement Villages Act 1992 (WA) and target those who are able to live independently. There is a range of different options for residing in a retirement village, these include rental, purchase and leasing options. This process can be quite complicated, so be aware of what you sign and seek professional advice. For more information please click here. If you require further information in relation to any of the above matters, please visit one of our Tenancy Advocates, or have a look at the Department of Commerce’s Senior Housing Centre guide. MIDLAS wish to hear from people in this age group. We want to better informed and need to know your housing stories, your experiences and your issues. MIDLAS aims to empower disadvantaged and vulnerable people and provides free professional services and confidential information, options, referral and support so individuals can navigate barriers to achieve a better way of life. To make an appointment or find out more information visit our website: www.midlas.org.au or give us a call on (08) 9250 2123. Next Post: What is a Conflict of Interest?